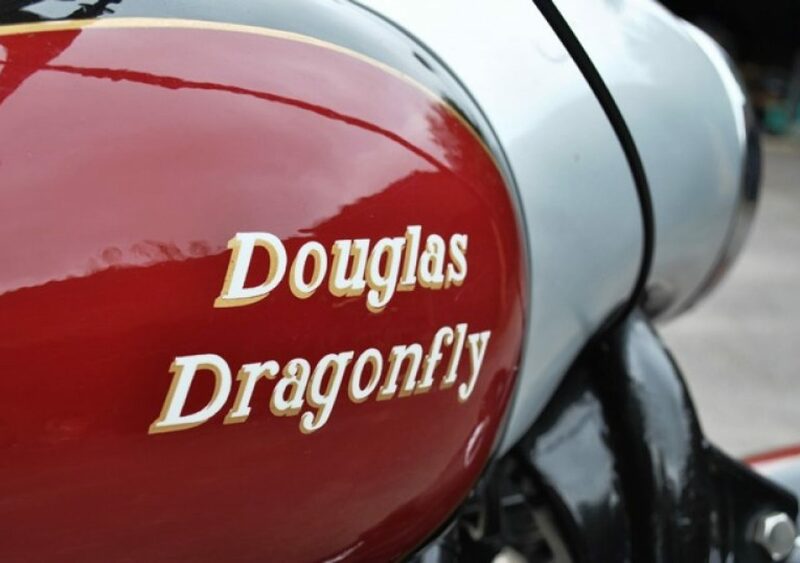 The Douglas Dragonfly model Introduced during 1955, featured a completely revised set of cycle parts housing an engine that, although clearly derived from the earlier unit, had been refined. 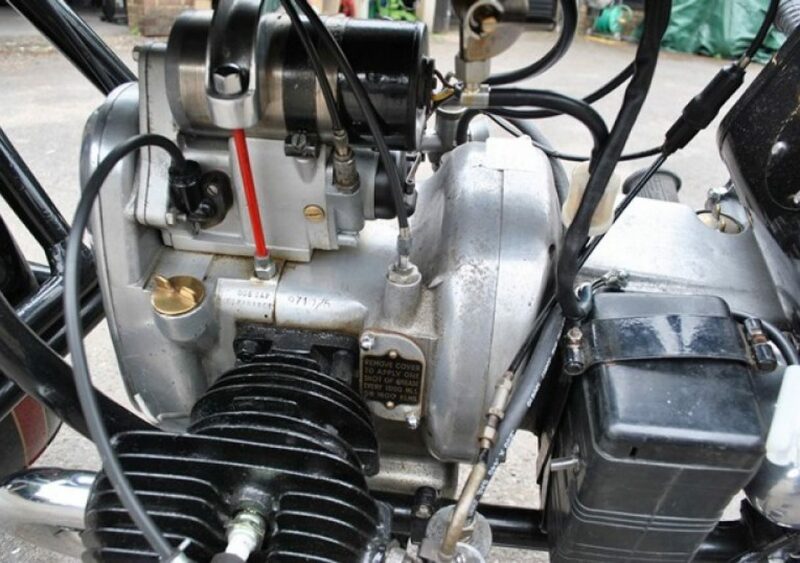 Consequently a stiffer crankshaft assembly was fitted to a stiffer set of crankcases. 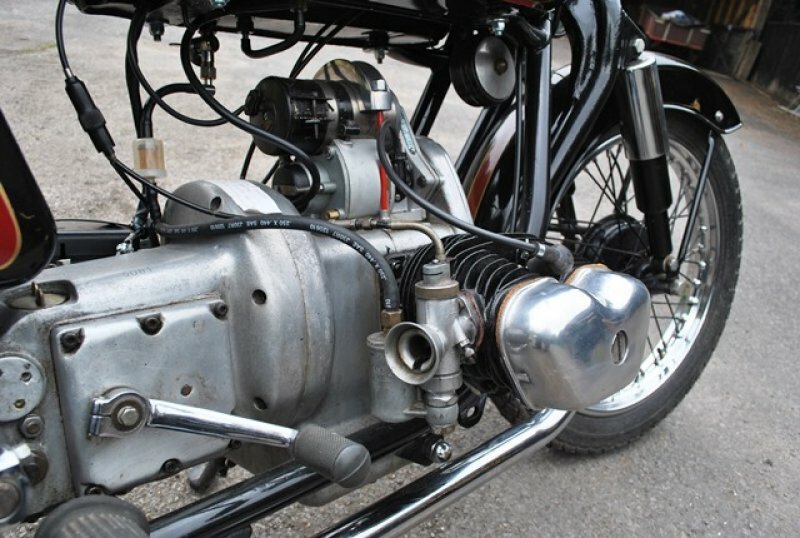 Pivoted front fork frame with conventional shock absorbers, a first for Douglas and Earles forks replaced the torsion bar sprung frame. 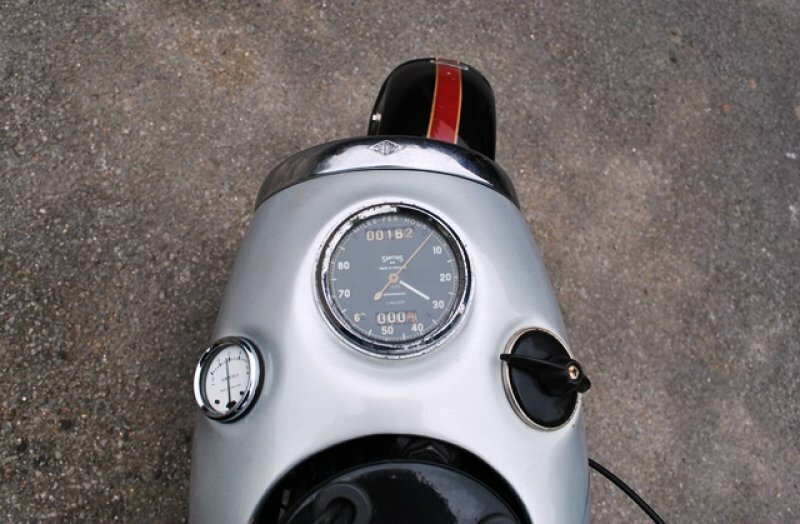 The new model was well received by both the press and public but the company's reliance on one model placed them at a disadvantage, restricting their potential sales volume. 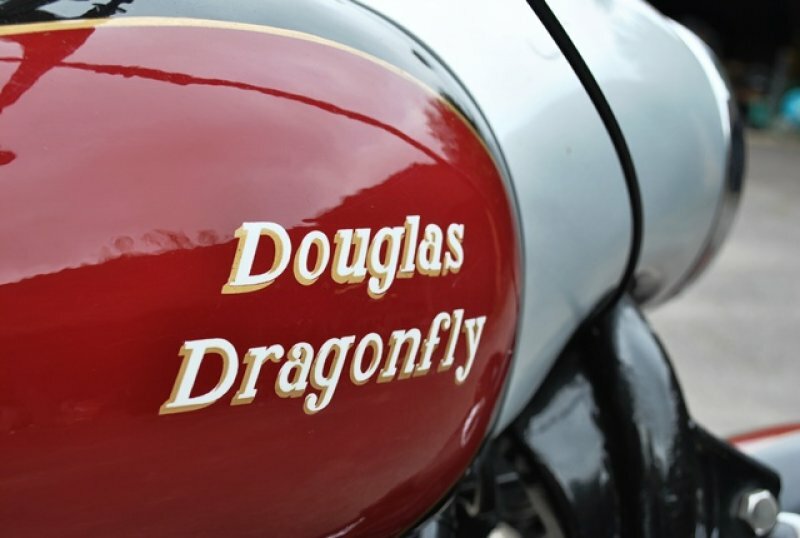 The company was already in the hands of the Official Receiver when the Dragonfly was introduced and was sold to the Westinghouse Brake and Signal Company in 1956, motorcycle production ceased in 1957. 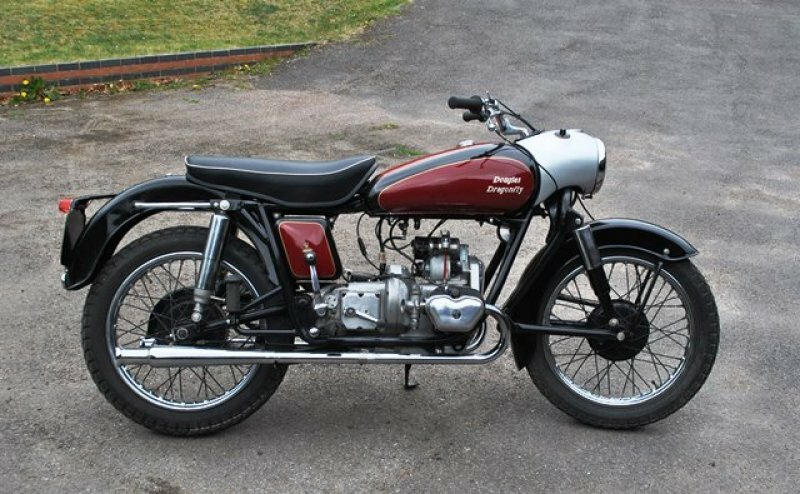 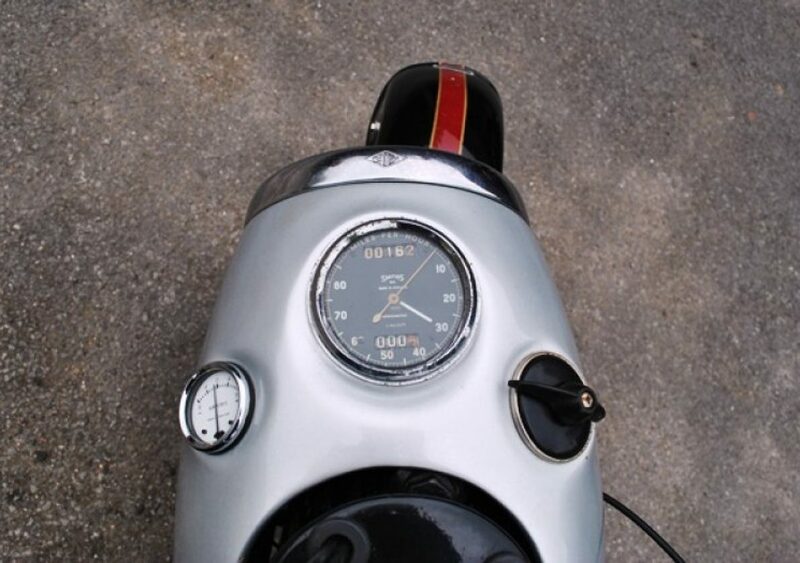 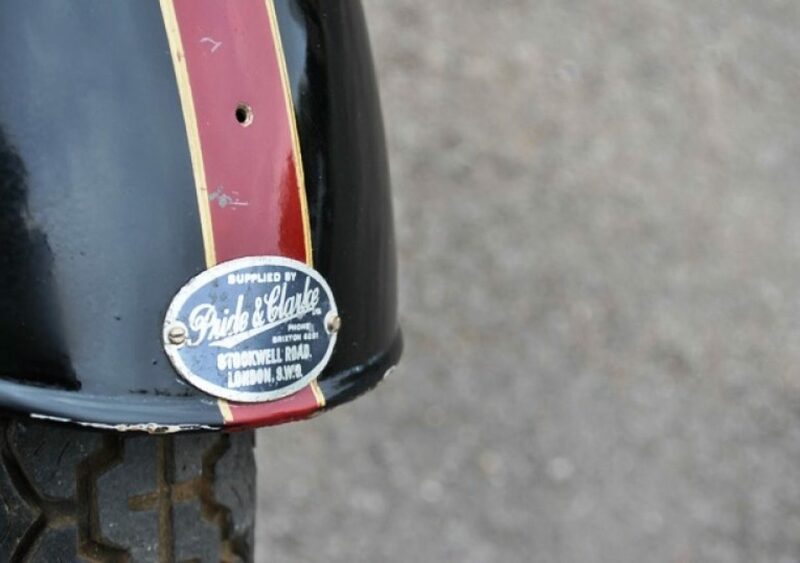 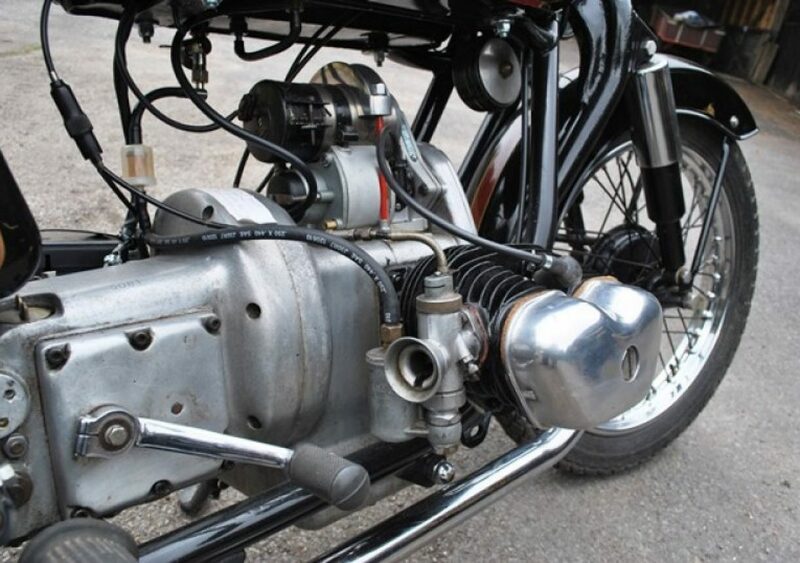 Only 1,457 examples were manufactured including a handful of the twin carburettor models fitted with the earlier Mk. 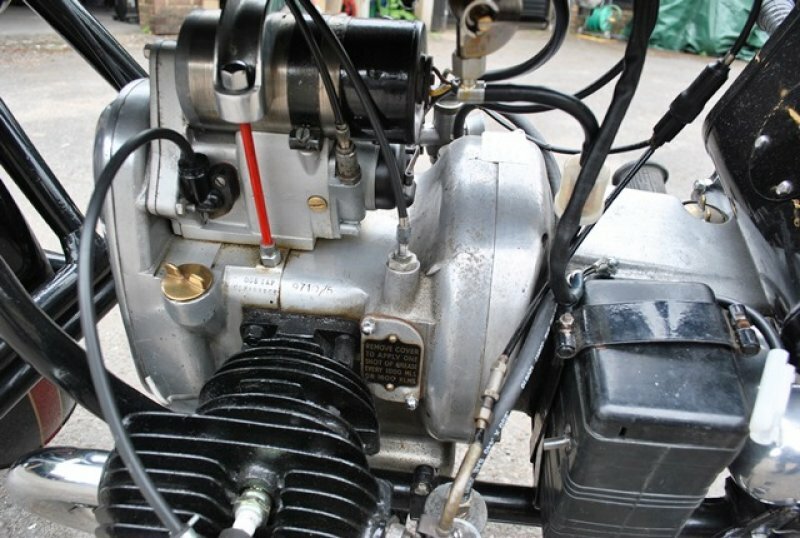 V engine and magneto Ignition. 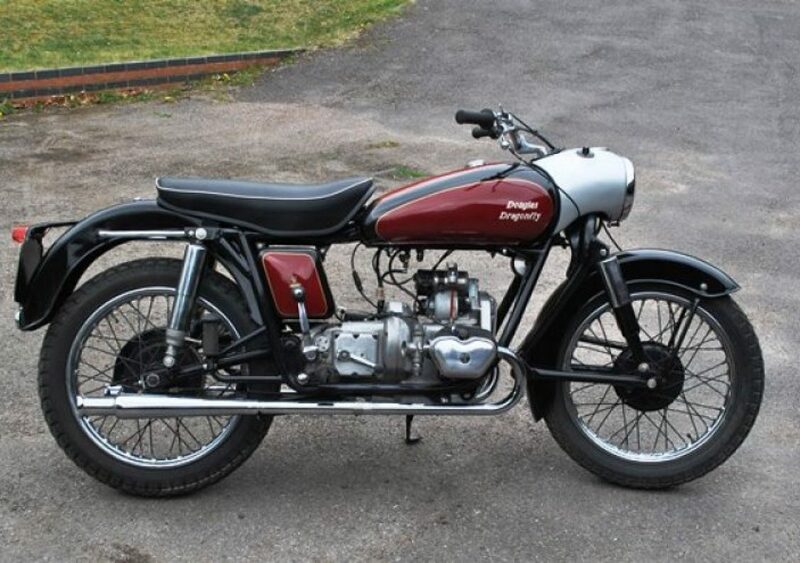 This is one of the final models manufactured and, as such, is a highly sought after motorcycle. 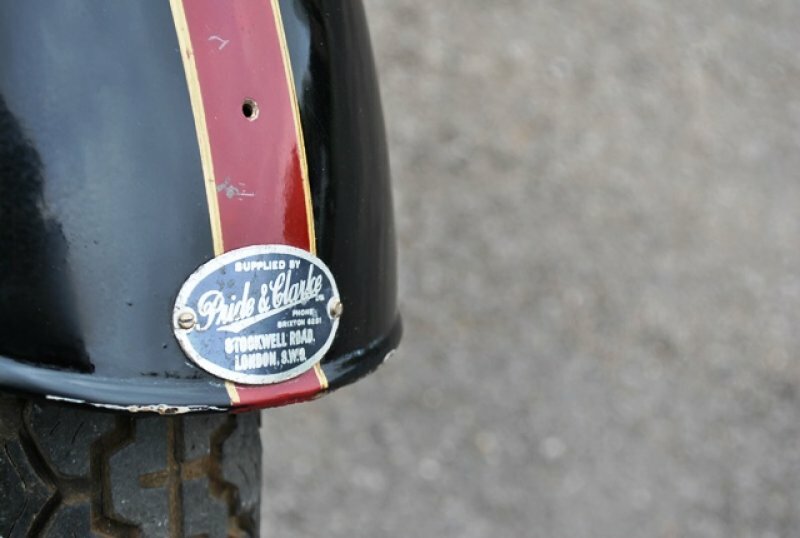 Finished in red and black and in excellent condition.